No sports logo has the power of the interlocking "NY" worn by the New York Yankees. 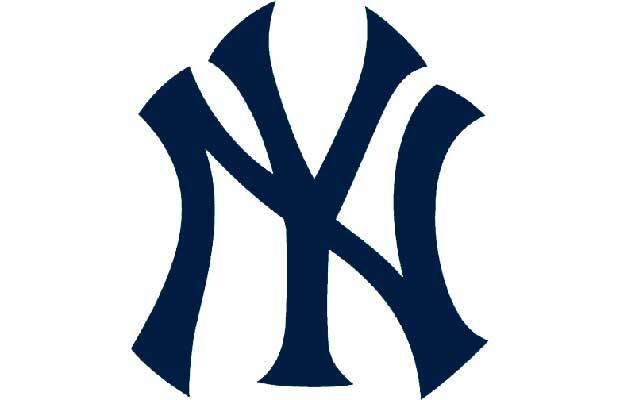 It transcends the game of baseball, serving as Big Apple's symbol (alongside Milton Glaser's famous I heart NY). The history of the lettering foreshadows its eventual adoption by the five borough's greater population-Louis B. Tiffany's design was created for a medal given by the New York City Police Department to Officer John McDowell, the first NYC policemen shot in the line of duty. It first appeared on a baseball uniform for the team, known then as New York Highlanders, in 1909, eventually becoming the Yankees standard in 1922.